Cathal McCabe (Credit: The Irish Times). It is not common to see a poet’s debut appended with the kind of subtitle that is normally reserved for authors of more than one collection. 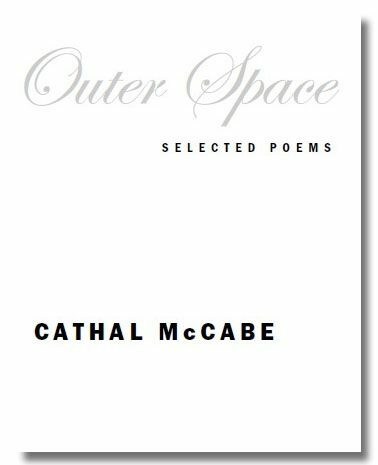 Yet, Cathal McCabe’s first published volume bears the words “selected poems” in self-assured black capitals on its plain cover under the silver cursive of the title proper: Outer Space. 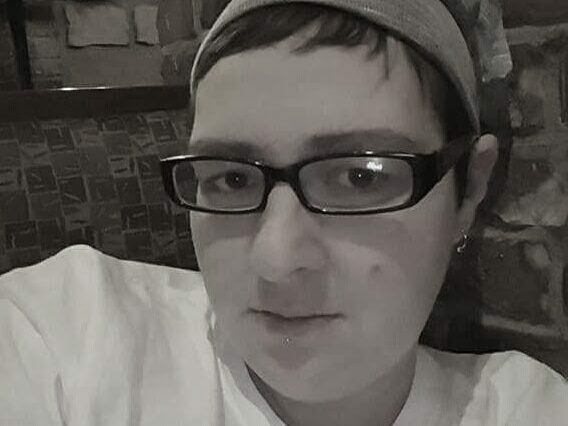 Unlike a young poet’s first book, the collection does not represent an initial step beyond juvenilia, nor does it offer a simple “best of” assortment from an established poet’s large body of work. McCabe’s poetry has so far been scattered on numerous pages of anthologies, newspapers and literary magazines, and the “generous selection spanning twenty years or more” (as the blurb on the flap has it) is an attempt to gather a representative overview of his work in a single volume. This effort was undertaken by Metre Editions (the imprint of the literary magazine Metre), and the editors, David Wheatley and Justin Quinn, have produced a book which presents McCabe as a versatile poet of all trades. The array of forms and styles stands in a stark contrast with the plain cover. One might be reminded of the The Beatles’ famous self-titled double-LP, commonly known as The White Album. Inconspicuous in its cover design, the plain white sleeve hid a textbook of musical genres, a smorgasbord of various styles ranging from blues and ska to ragtime and avant-garde. Similarly, Outer Space is a poetical miscellany featuring, on the one hand, traditional, regularly rhymed poems, as well as variations on elaborate forms such as sestina (“A Postcard from London”) and impressionistic jottings, concrete and graphic poetry (“One for the Road”) on the other. The long span of McCabe’s career could play an important part here, but the poems do not seem to be products of different creative periods corresponding to passing literary fashions, for they, in spite of the diversity of form, communicate perfectly with one another across the pages. The collection shifts not only from style to style but also from one place to another. 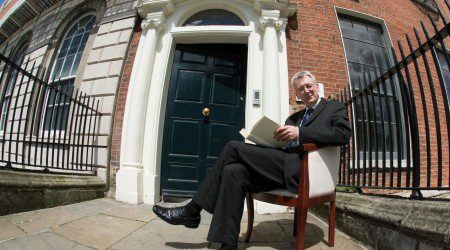 Born in Northern Ireland in 1963, McCabe lived in Poland for fifteen years and a number of the poems are translations or adaptations of Polish poets, including Wisława Szymborska, Bohdan Zadura and Jerzy Jarniewicz. McCabe’s poems are thus stretched between Poland and Ireland, between the shores of the Baltic Sea and the Beach House on Cranfield Point. no way of touching or linking up, even…). left without mouths, with which we would kiss? or into a box with the others. had I gone on. The truth is much worse. The grave is now also my father’s. Because the volume is such a “generous selection,” there are inevitable “fillers” and it is clear that not all poetic styles suit McCabe perfectly (some of the concrete poems are the worst offenders in this regard). The most powerful poems in McCabe’s belated debut are arguably those that subtly twist traditional form and subject matter. Now that his selected poems are published – and it is well that readers do not have to hunt for his poems in magazines and anthologies – one is left with a question: will he follow with a single collection, or will we have to wait another ten or twenty years for Selected Poems II? MARTIN SVĚTLÍK is a Czech translator. He graduated with an MA in Irish studies from Charles University. He translates both from English (W.B. Yeats, Anthony Hecht, Philip Larkin, Norman McCaig) and Irish (Brian Merriman, Ailbhe Ní Ghearbhuigh). His translations of Flann O’Brien’s short stories featured in the anthology Muž, který vybouchl. He contributes to several Czech literary magazines, such as Revolver Revue and iLiteratura.